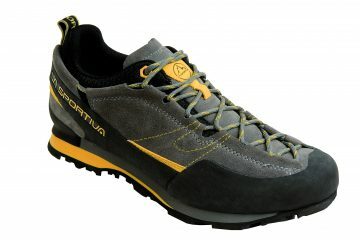 I recently trialled the La Sportiva Nepal Extreme boots on a trip to the French Alps and I must say, I love them. 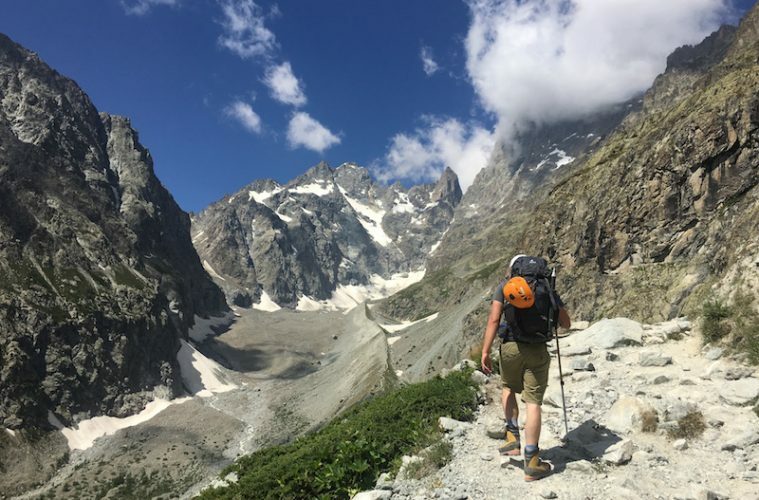 I was on a trip to climb my first Alpine peak, the Dome des Ecrins (4,015m), and the Nepal Extreme boots were to be my companions. Clearly, these are not your normal walking boots. The Nepal Extreme boots are technical B3 boots designed for mountaineering and use with step-in crampons on snow and ice. As they are B3 boots, they are rigid and can take any type of crampons (including C1, C2 and C3) thanks to the welts at the toe and heel. Breaking them in during the UK’s summer heat wave, I definitely had soggy socks at the end of the day (and a few strange looks from wearing them around the office! ), with the brand’s triple laminate Synergy insulation offering high levels of warmth. Of course, they’re not designed for a heat wave in the UK, but they also kept my feet warm for the entirety of our Alpine climb, while the 3mm hydrophobic leather did a good job of keeping out any moisture. 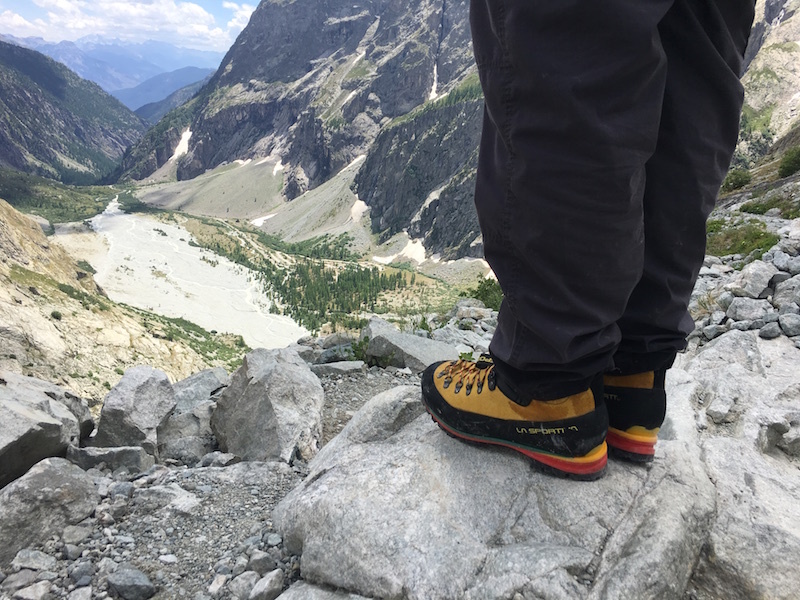 I found the Nepal Extreme boots broke in quickly enough that by the time I got to the Alps to put them through their paces, they were extremely comfortable even after a long day on my feet. 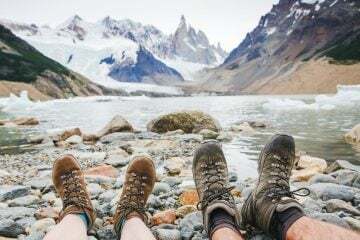 The boots were equally as comfortable when wearing crampons, though they felt a little stiff on the walk in to the refuge at the foot of the glacier (this is why many people wear approach shoes on the walk in). I quickly grew to really trust these boots and when we reached the glacier they really came into their own. By the second day I was smearing on rocks while scrambling and found the Vibram sole almost as sticky as my climbing shoes. Although fashion is obviously not a priority when jumping crevasses and scaling mountains I must say there is something appealing to me about the Nepal Extreme boots’ classic appearance. The bright yellow and black contrast coupled with the bulky look of them gives a rugged go anywhere, conquer anything look. Looking around the boot rooms of the mountain refuges I was staying in, I was pleasantly surprised to see what a popular choice they were, with many pairs on display with varying signs of wear. The Nepal Extreme boots were also a popular choice among the rented boots that I could see – a reassuring tick on the lifespan question of the boots. Throughout the weekend, the boots performed well, offering fantastic support on mixed terrain and keeping my feet happy throughout the climb. A large rubber rand helps protect the boots, while a user-friendly lacing system enabled me to secure a perfect fit every time. At over £300, these boots are a serious investment for anyone, and if you’re going to spend that sort of money, you’ll want to look around and find what’s right for you and your requirements. If that includes mountaineering, either in the Alps or further afield, the Nepal Extreme boots are a great option. Just make sure they fit well and suit your foot shape, as even a brilliant boot is useless if it’s not comfortable. 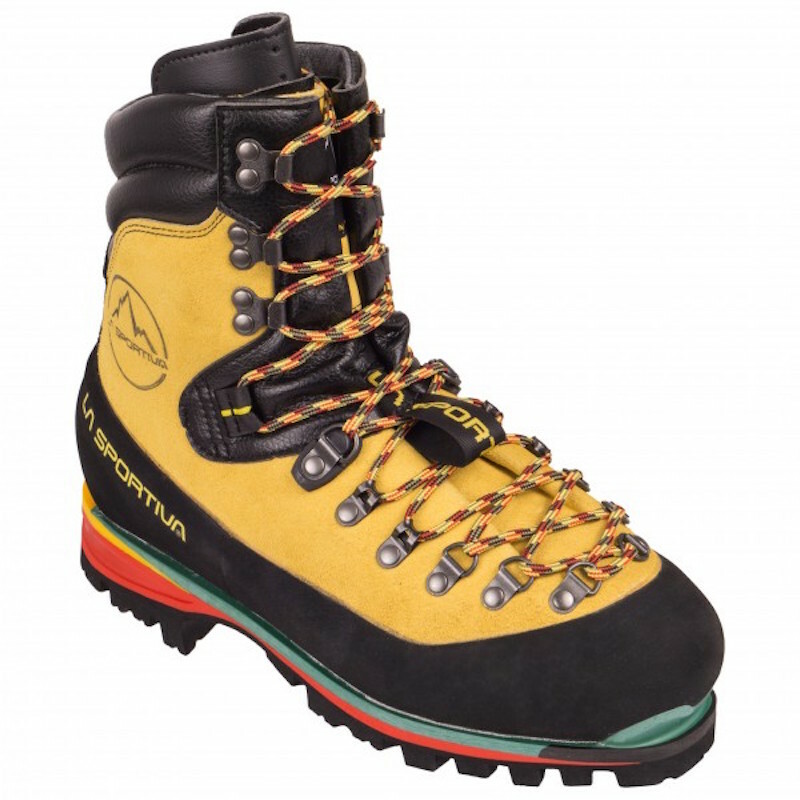 A brilliant technical boot for use on snow, rock and ice. Expensive, but you get what you pay for.